A delegation from Tabarak Investment Capital and Elite Capital & Co. Limited visit senior Government officials in Sri Lanka and Maldives, with a view to financing major infrastructure projects in the respective countries. London, UK (AGENCIES) Oct 14, 2016 — Information Department at Elite Capital & Co. Limited (“ECC”) announced today that two separate discussions are currently on-going between Elite Capital & Co. and their Strategic Partner Tabarak Investment Capital Limited “Investment Bank” (Dubai – UAE) with Democratic Socialist Republic of Sri Lanka and Republic of Maldives. Elite Capital & Co. is a private limited company that provides project related services including Management, Consultancy and Funding, particularly for large infrastructure and commercial projects. 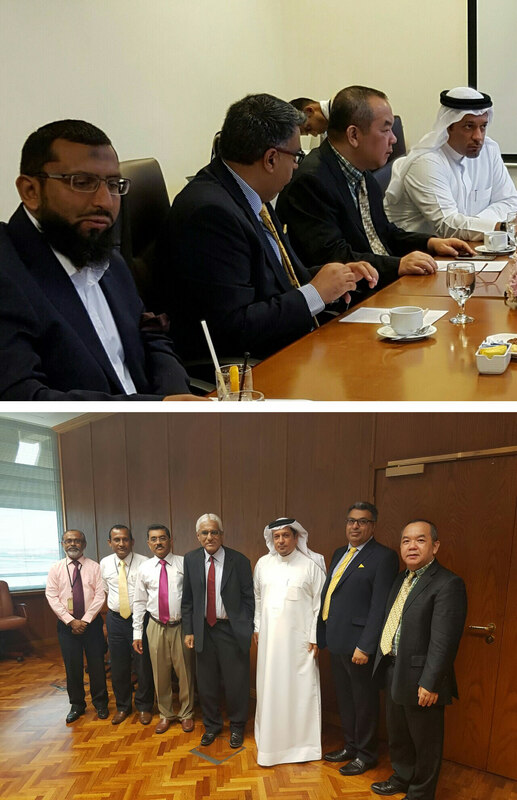 A senior delegation from Tabarak represented by its CEO, Dr. Mohamed Ahmadi and ECC represented by its President, Mr. George Matharu and Projects Supervisor, Mr. Albert Lin travelled and met with high-ranking Government officials of the Sri Lanka and Maldives respectfully, in an attempt to discuss the possibility of providing loans for Infrastructure projects. “The meetings were very fruitful” Mr. Matharu said. Tabarak is a client focused organization which subscribes to the set of core values including accountability, integrity, respect, teamwork, urgency, loyalty, creativity and pursuit of excellence. We attribute our steady growth to increasing levels of client satisfaction. Also, Tabarak supports its clients to expand and improve their Global Wealth Management and Trading business by providing expert services through a proven and secure platform. Mr. George Matharu and Dr. Mohamed Ahmadi concluded their statement by saying “We are excited about these opportunities and cementing our business relationship”.